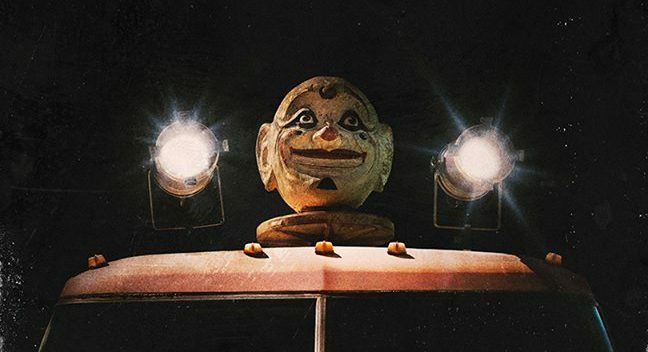 The first clip from Rob Zombie‘s upcoming Halloween-themed bloodbath 31 was released online today along with additional information about a special advanced screening of the film coming to theaters on Thursday, September 1. The clip features Malcolm McDowell’s Father Murder introducing the game of 31 to a group of chained up captives, including Sheri Moon Zombie and Jeff Daniel Phillips. Tickets are on sale now, via Fathom Events here, for the early preview screening, which arrives two weeks before the official opening date on Sept. 16 and will also include a sneak peek at the upcoming companion documentary that follows the making of 31, as well as a Q&A with Zombie shot during his current concert tour, and several Rob Zombie music videos. You can watch the first clip from 31 below, and then scroll down for the official trailer!